Magnetic tool holder is to organize, hold and display hardware items such as hammers, wrenches, screwdrivers. 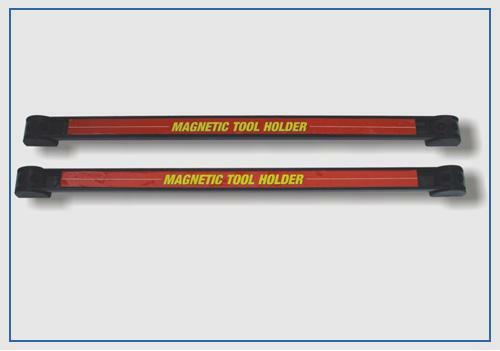 Such a magnetic tool holder is perfect for use in garages, service stations, workshops, commercial kitchens, and even inside trucks and vans. Each has up to 30 lbs. of pull per inch. Mounted magnetic bars to organize tools & parts at garage or home. Length : 8", 12", 18"